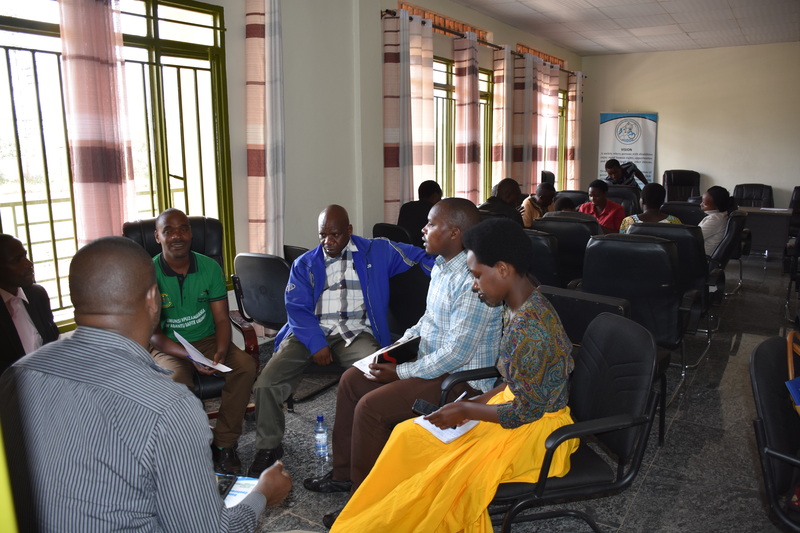 From 05th to 07th December 2018, under the financial support from CBM-Germany, NUDOR has conducted the training of Local leaders from Districts of NYARUGURU, MUSANZE, NGORORERO ad KAYONZA on VSLA (Village Saving and Loans Associations) methodology. Different local leaders attended the training at their respective district office. 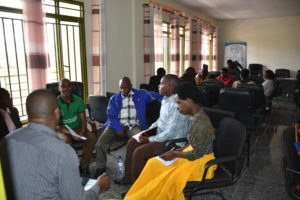 The goal of the training was to make district and sector officials together with other stakeholders understand NUDOR methodology of forming and developing VSLAs . 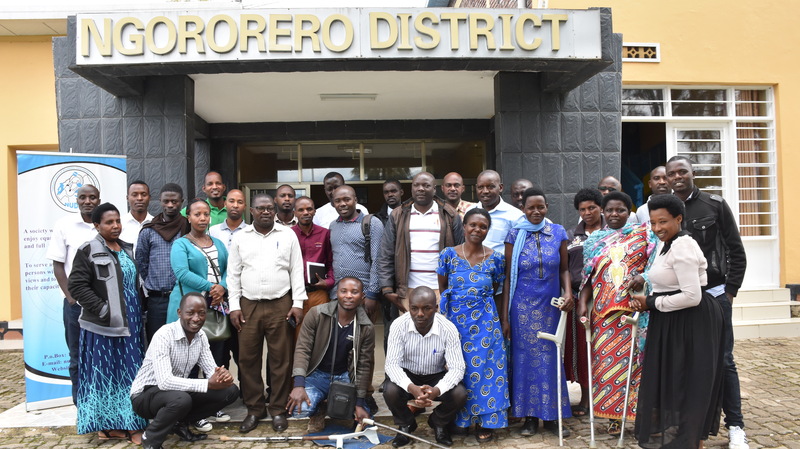 In partnership with Nyaruguru District, NUDOR has organized one day training on NUDOR VSLG methodology to the district officials in charge of social affairs, employment development and sector officials: Social affairs, Sacco’s managers and sector NCPD coordinators all from the four sectors (KIBEHO-CYAHINDA-MUNINI-RUSENGE) that NUDOR is implementing the Livelihood program since January 2018. 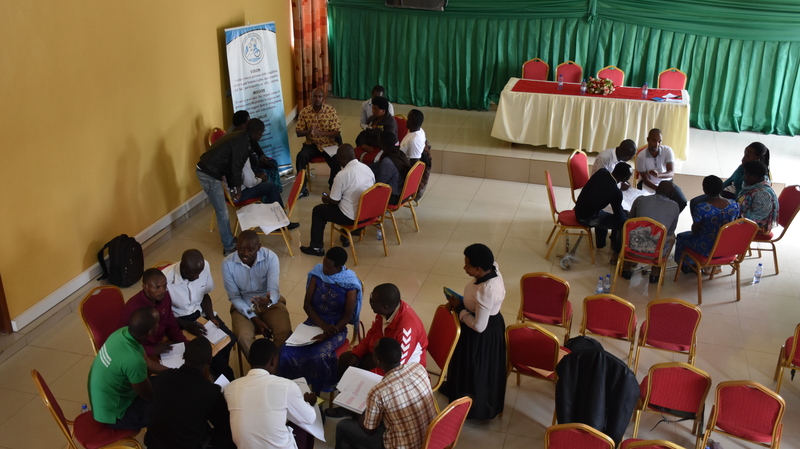 The training has taken place at Nyaruguru district. District Executive Secretary, RUZIMA Serge has officially opened the training where he took time to thank NUDOR on its contribution to promote the livelihood of persons with disabilities living in Nyaruguru district especial he emphasized on the project: “Promoting social economic situations of persons with disabilities in Rwanda” that NUDOR has started implementing since January 2018 where MUDOR is working with PWDs through forming the VSLGs. 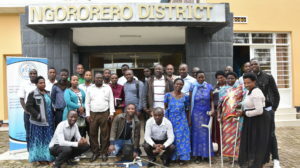 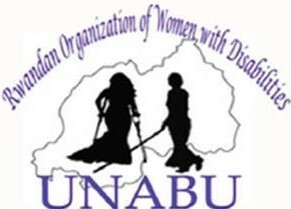 “The PWDs are achieving more because they are working together by being able to pay their MUSA, changing their negative mindset, increasing their productive assets because of being in the groups of saving and loaning, we need to copy this NUDOR approach to other citizen of Nyaruguru district to find solutions that our district is facing like MUSA, human security issues, etc…” said RUZIMA Serge. 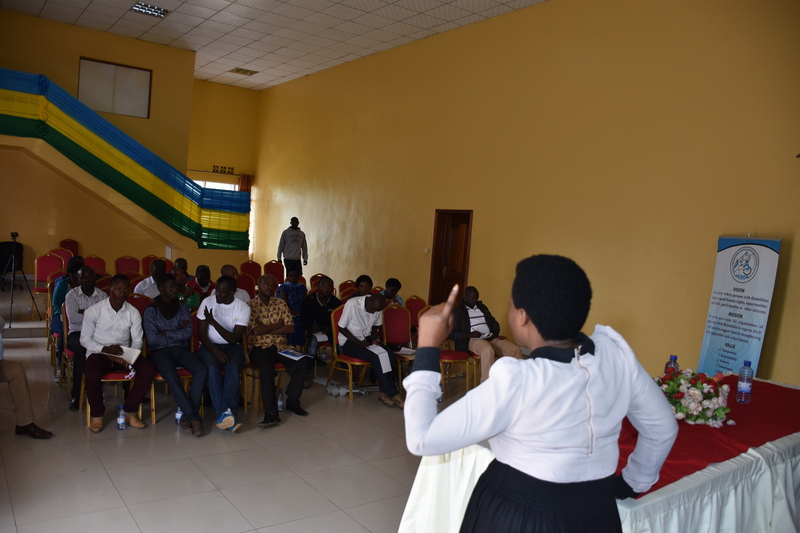 By concluding , the District Executive Secretary thanked NUDOR for training and encouraged the participants to follow and go back to put into practice for betterment change of the life of PWDs. 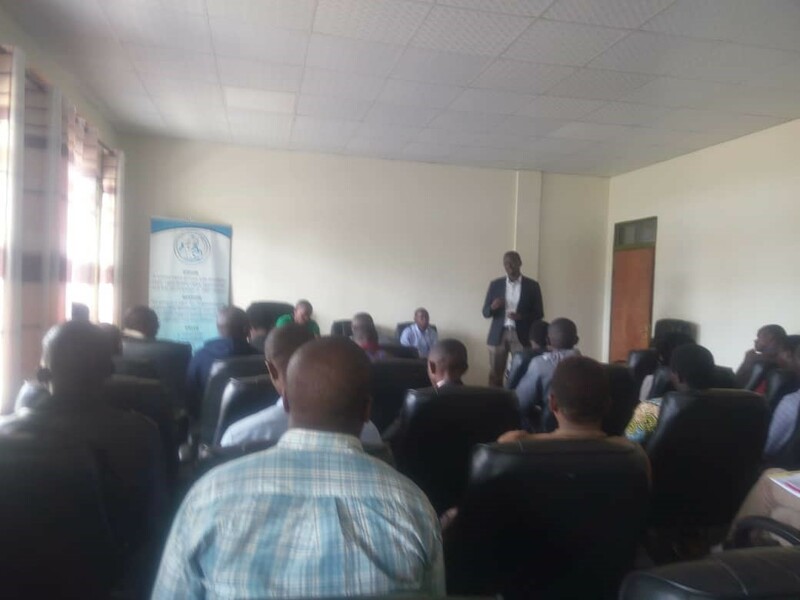 More to that, after welcoming the staff of NUDOR, the training facilitator Mr. Simon Pierre MUHIRE, NUDOR Senior Business Mentor (SBM) has explained the achievements of livelihood program where 2187 PWDs have been mobilized and 78 VSLGs have been formed in all 4 sectors. 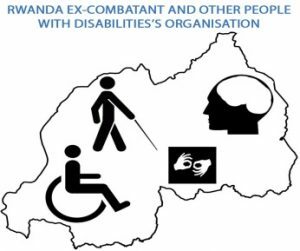 Financially the PWDs have saved 20,576,335 frw, the persons with are encouraged to use small loans in IGAs from their respective VSLGs and they have taken 10,193,800 for agriculture activities and 8,362,800 for small business. 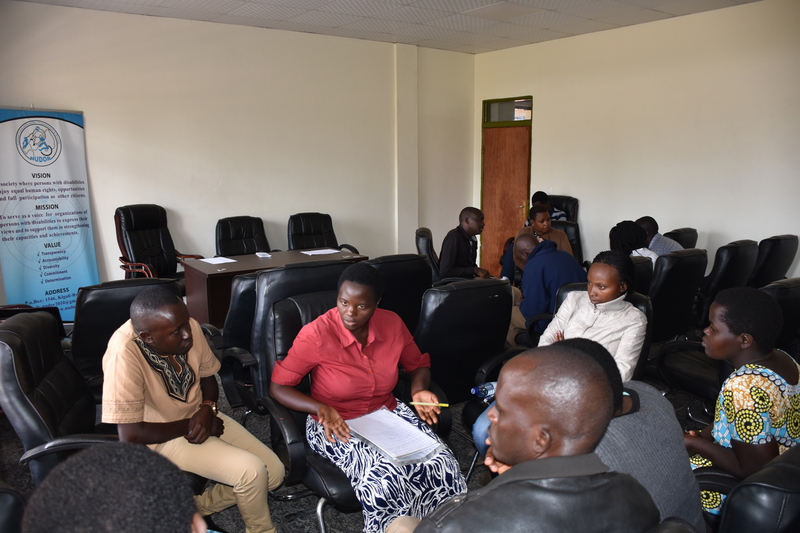 Through these small loans the life of PWDs has been changed positively by providing the first basic needs by running different small business like: selling foods, delivering airtime services, agriculture activities as well as contributing to their community development. 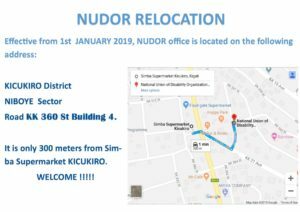 The NUDOR VSLG has also increase the self confidence among the PWDs, PWDs are participating in community events as well as their hygiene and sanitation condition. 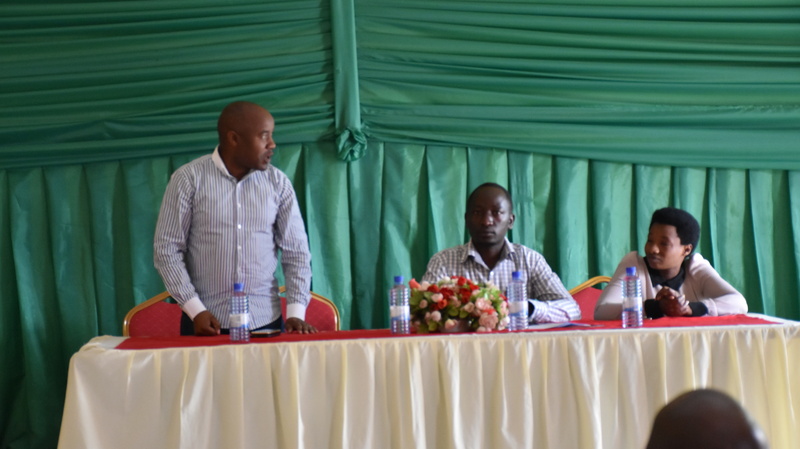 By concluding NUDOR Representative Eric thanks the participants for participating actively in the training on livelihood program and requested them to implicate into practice the knowledge gained for enhancing better the livelihood of PWDs. 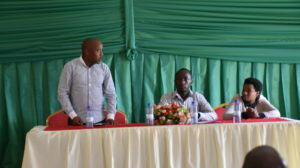 District representative thanks how the participants have shared the skills and participated in the training. He requested the participants to put into practice the new skills gained for betterment change of life of PWDs and finding solutions that community members face in general.